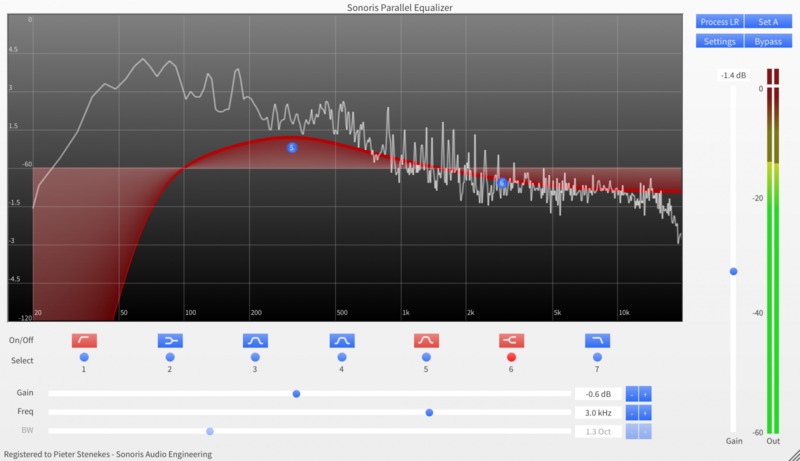 The Sonoris Parallel Equalizer is a minimum phase parametric equalizer in VST, VST3, AU, AAX and RTAS format for Windows and Mac. The plugin is suitable for mixing and especially mastering. It has fixed filter types on each band and band 2 to 6 are connected in parallel. The filters are build in a feedback/feedforward manner to provide cutting and boosting, like in analog graphic equalizers. Band 3 to 5 are constant-Q bells and 2 and 6 are shelves. Band 1 and 7 are low/high cuts and connected in series with the rest. The main feature is that this eq is a lot more subtle and needs more work to set up right because there is some interaction between the bands. In normal series connected eq’s the gains of two bands just add up but in a parallel eq it doesn’t. The filters are parallel to each other as well as the unprocessed signal and this makes that if you have for example a low shelve boost and switch on a low freq bell boost too, it just doesn’t do much more. You can’t easily overdo things, but have to work harder to get it right. Also, the signal path is cleaner because the filters al work on the same input. The filters have correct gain up to Nyquist. 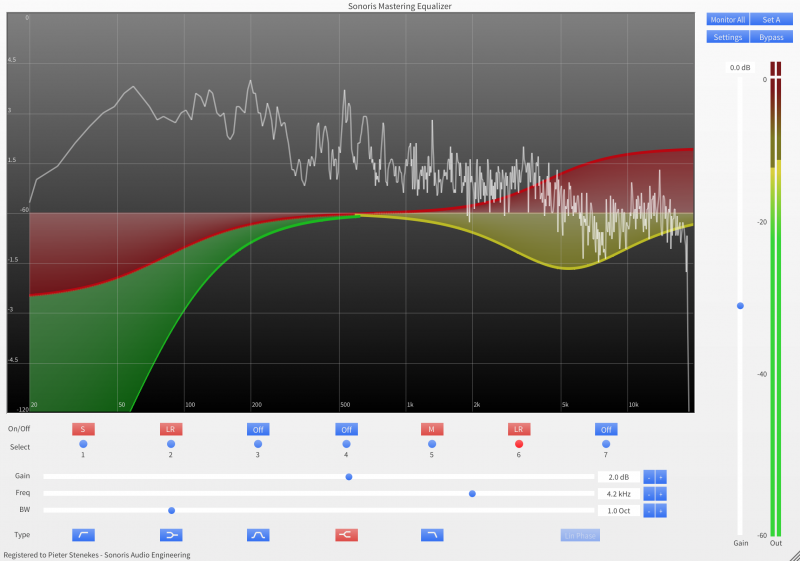 Besides working in stereo, the Parallel Equalizer can also process audio in M(id), S(ide), L or R mode. The plugin has a large graphical display that shows exactly what you get. The size of the plugin can be changed to your liking by dragging the lower right-hand corner. 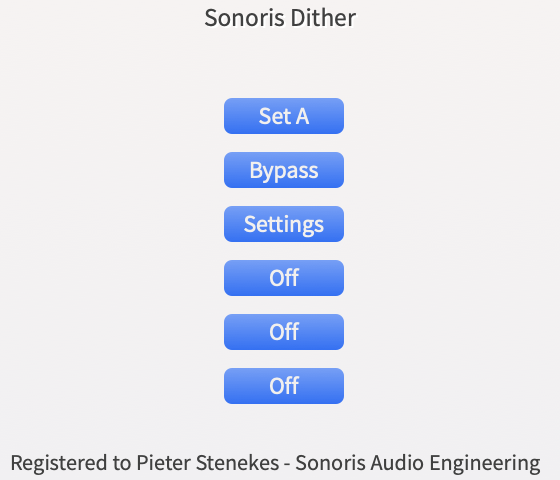 These (Sonoris Mastering Equalizer & Sonoris Parallel Equalizer) are top-notch digital EQs. They take an individual approach to the task and each achieves something rather special: the Mastering EQ in its tremendous flexibility and ergonomic advantages, the Parallel EQ in its gentle clarity and wonderful ability to retrieve detail.